The increasing use of technology in different parts of the world has inevitably led to the borrowing of a sizeable number of English words by many languages, including Farsi. This study was carried out with the aim of determining the extent to which a group of undergraduate Iranian EFL students studying at Sheikhbahaee University could accurately pronounce ten commonly-used technology-associated loan words with regard to two criteria: the placement of word stress and the pronunciation of words’ sounds. To this end, 50 students were randomly drawn from among the foregoing university’s students. Each student was given the chance to pronounce each of the ten loan words in and out of context. The students’ oral performance was recorded and then was subjected to quantitative and qualitative analysis. The quantitative analysis revealed that the errors’ frequencies were relatively high with respect to most words and very high with regard to two words. 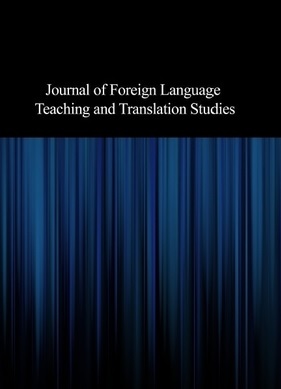 The qualitative analysis, which was done utilizing the literature of contrastive phonetics and pronunciation systems of Farsi and English, helped partly explaining many of the students’ errors and highlighting the need for the devotion of more pedagogical and research attention to the problems confronting Farsi-speakers in the area of the pronunciation of loan words.